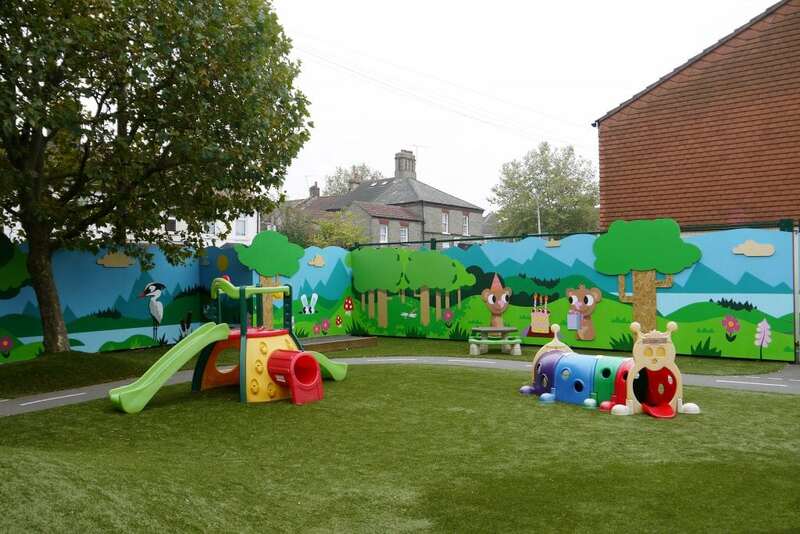 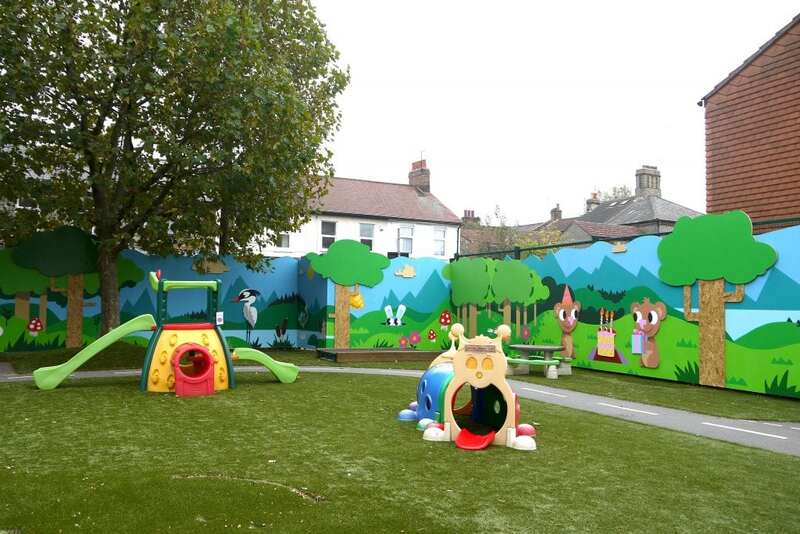 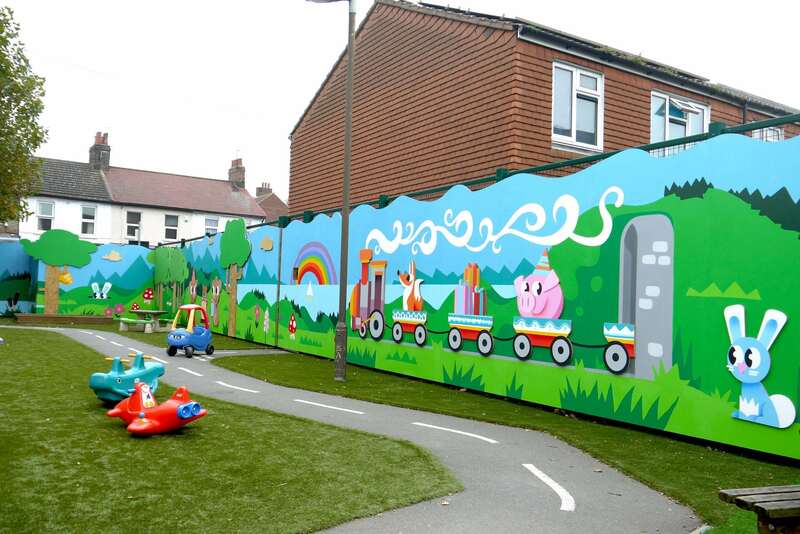 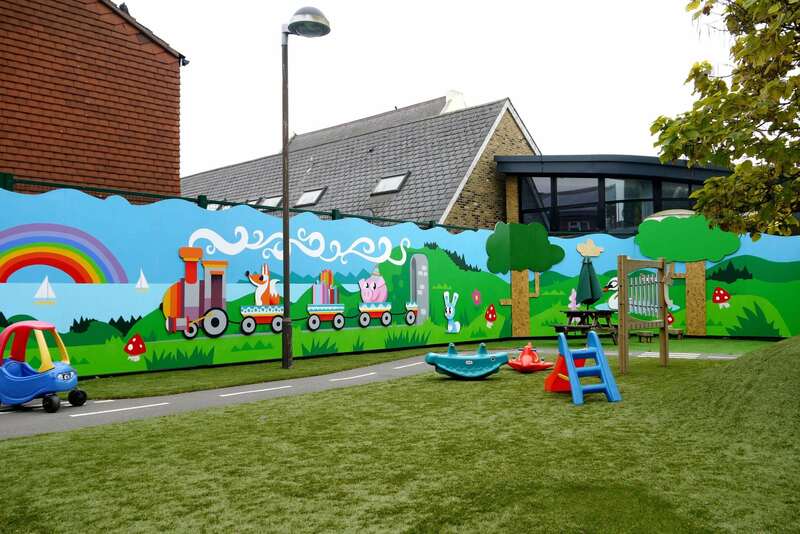 We were commissioned by Thomas Gamuel Primary School in Walthamstow to create a playground mural to brighten the area and shield the children from anti-social behaviour in the adjacent park. 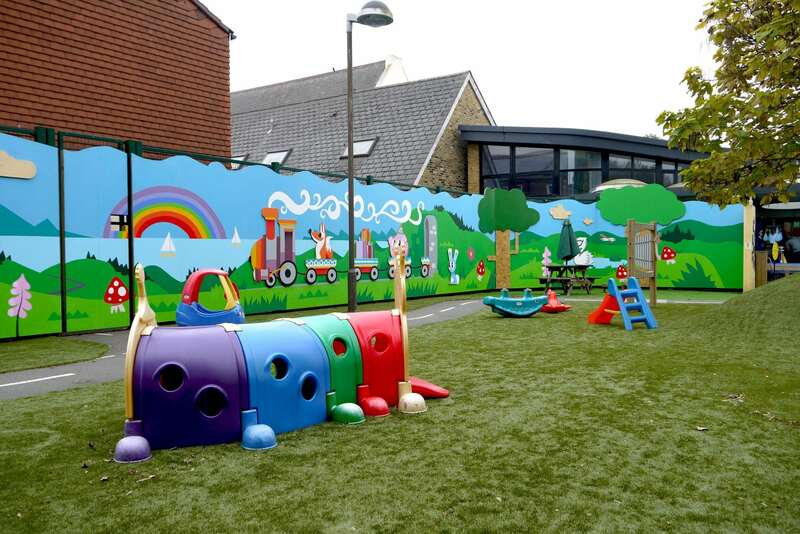 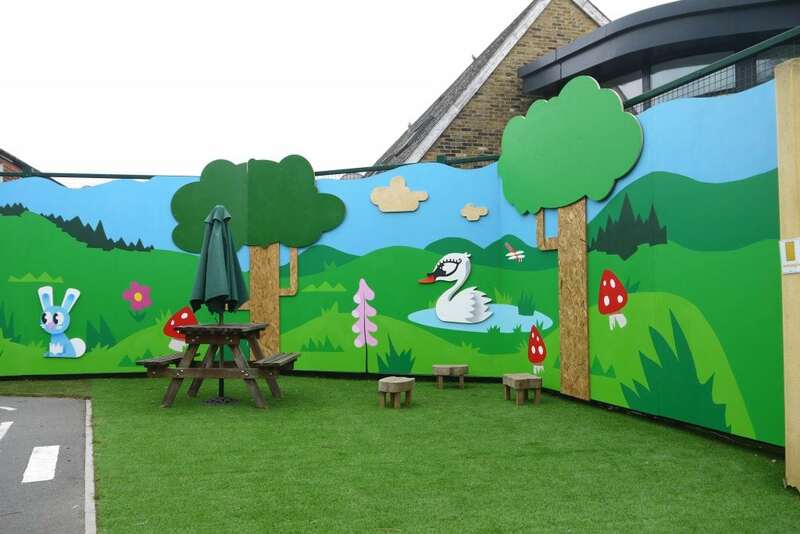 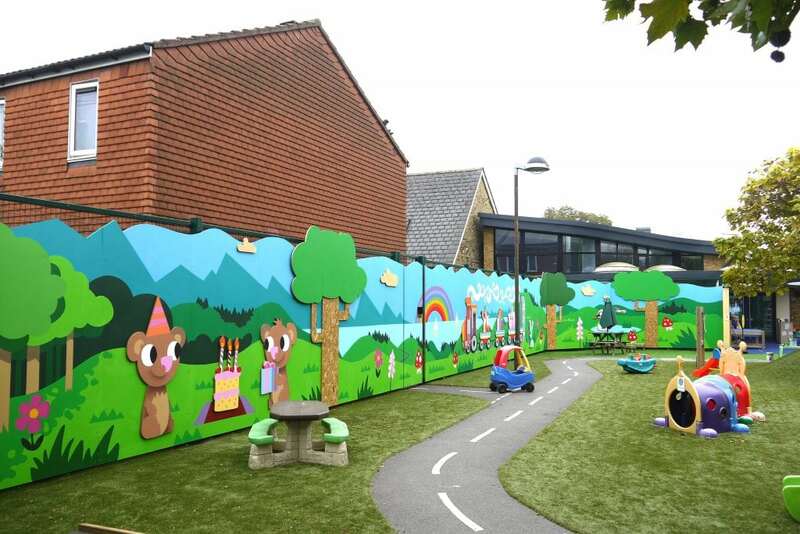 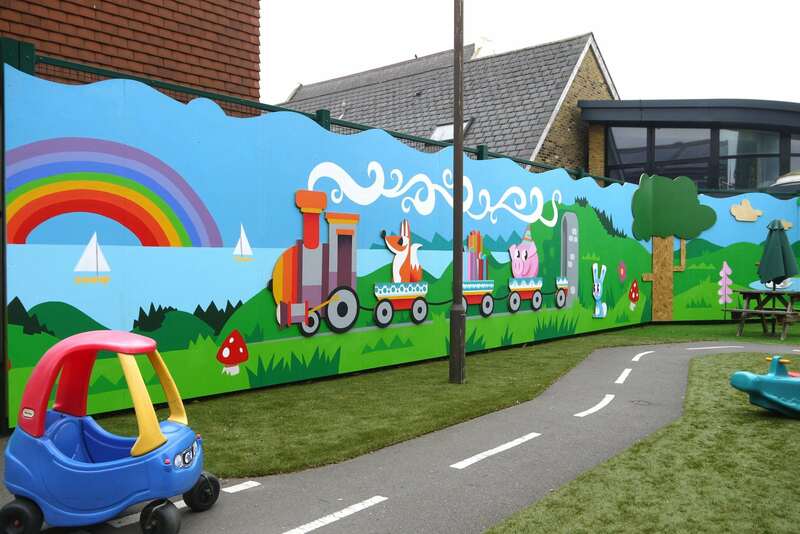 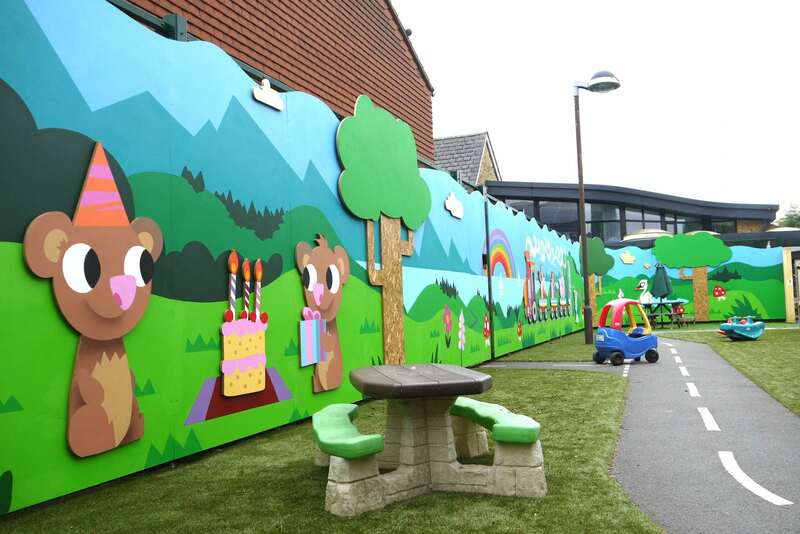 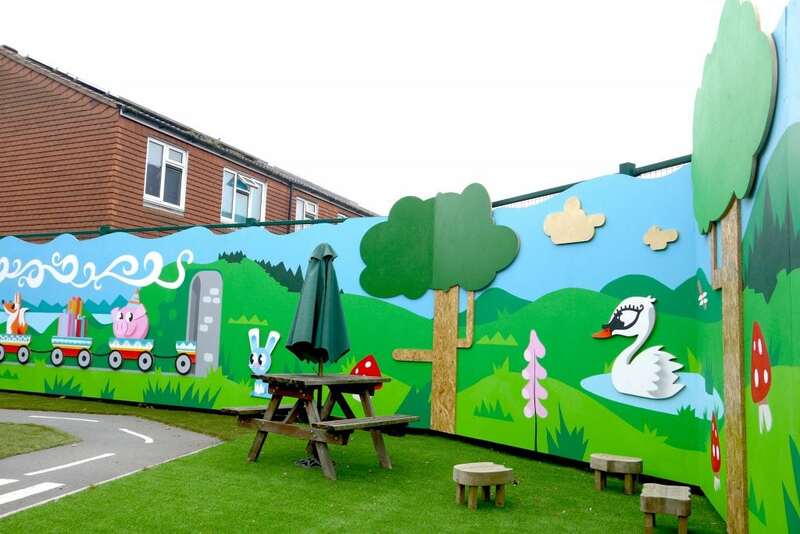 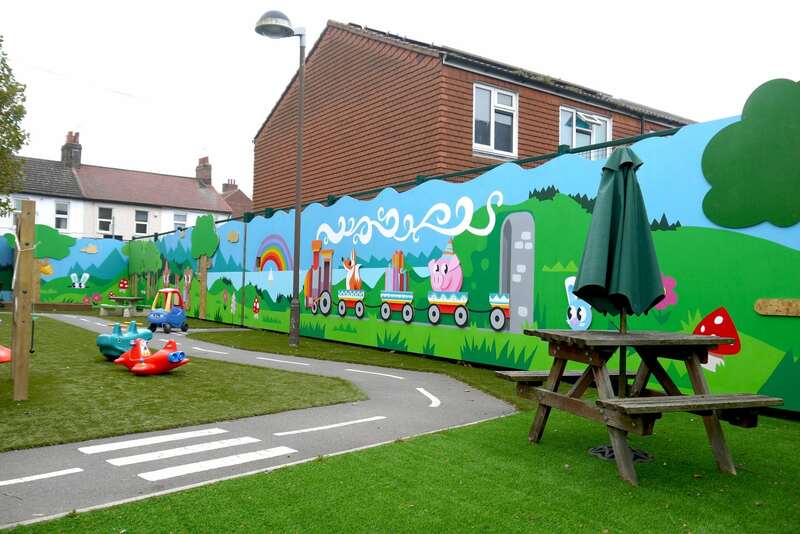 We wanted to bring the countryside into the inner-London school and create a mural that was calm, bright and fun. 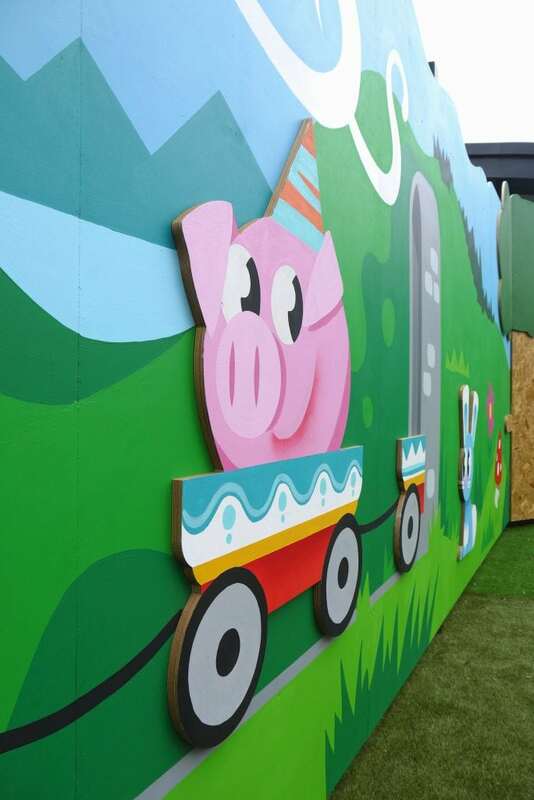 A countryside theme allowed us to create a range of cool animals that lived in the space – including bears with birthday cake, a pig in a party hat riding a train, and a rabbit on the run. 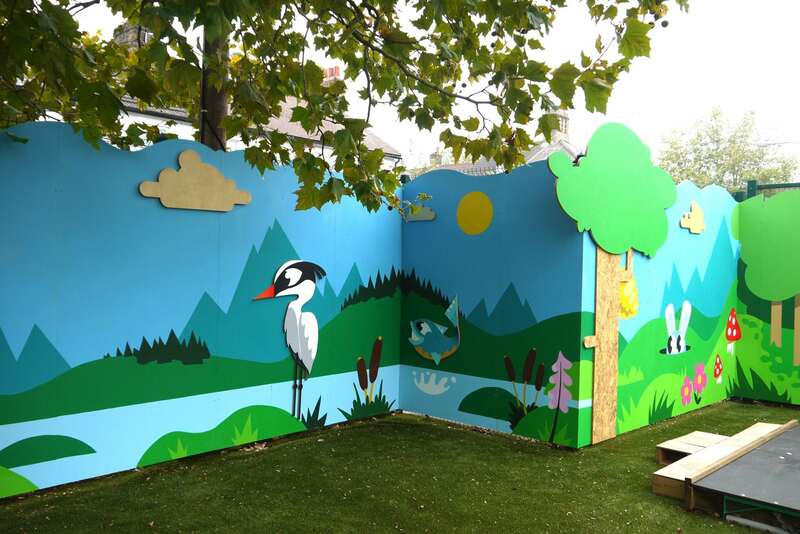 The background scene for the mural was painted onto treated plywood panels and attached around the school’s 150m perimeter fence. 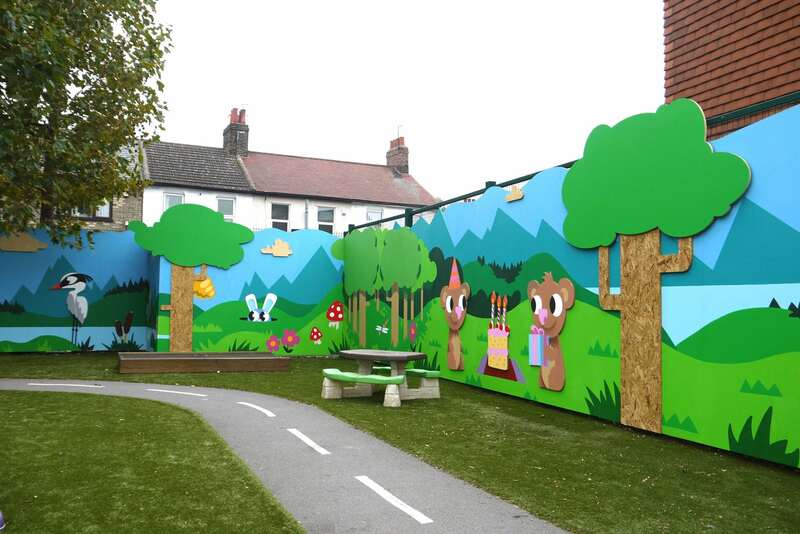 The animals and other fun elements were cut from plywood, OSB board and fitted onto the mural to provide depth. 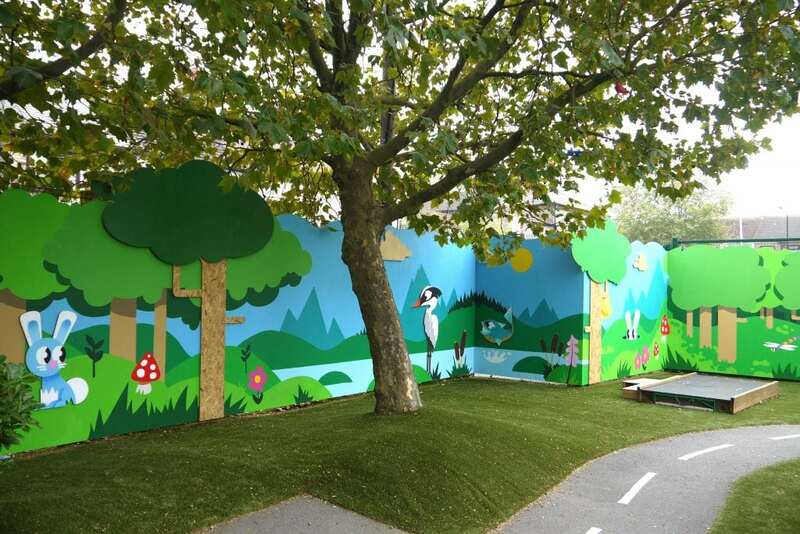 All elements were hand-painted in an illustrative and child-friendly style.